The May Court Club of Ottawa is involved in many community projects to which its volunteers devote many hours (almost 20,000 per year!) and to some it also provides necessary financial support. . The May Court Club of Ottawa wishes to advise non-members who attend an activity or event sponsored by the Club, that photographs and or video recordings may be taken for the purpose of advertising or publicizing the Club. Thus it is an attendee’s responsibility to inform the Club if they do not wish to be included in either photographs or video recording. Members of the Citizenship Committee provide monthly receptions annually for new Canadians and their guests. 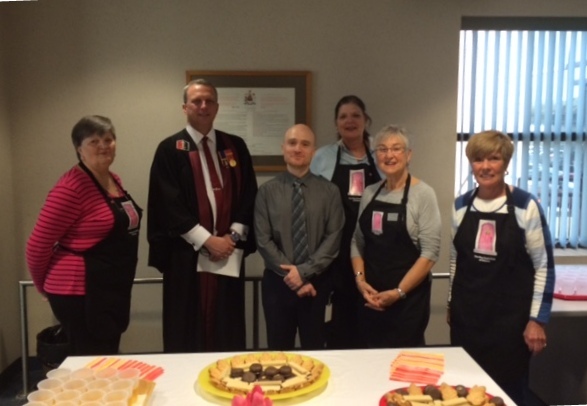 Following their Swearing in Ceremony at the Canadian Citizenship Court the Club provides tea, coffee, juice, fruit and cookies. These events serve as an opportunity to welcome new Canadians in an active exchange of information. We have heard many fascinating tales of how these new Canadians chose to come here and we tell them about our Club, describing many of the community activities in which we participate. To some of, volunteerism is a new concept and it gives us the opportunity to explain how this is an important part of the fabric of Canadian life. The May Court tradition of welcoming new Canadians exemplifies the Club’s commitment to both our community and our country. In 1997, the May Court Club of Ottawa, faced with new provincial government regulations and escalating costs, made a very difficult decision and closed its Convalescent Home. As a much- valued institution in the community, it had provided service for women since 1916. The Club then set about to find a use for the facility in keeping with its mandate of service to others. After exploring several possibilities the May Court Club of Ottawa entered into a purchase of service agreement with the Hospice at All Saints. The Club had been involved with palliative care in Ottawa since the 1970’s when it established its Palliative Care Committee at the Riverside Hospital. The Club had also provided funding for three palliative care nurses over a period of three years, so this was a continuing, rather than a new, initiative for the Club. The May Court Hospice continues as a vital part of Hospice Care Ottawa. Rent-free accommodation and an annual grant to the Hospice are still part of the Club’s commitment. Since 1999 this has proved to be a remarkably successful partnership for both parties. The May Court Club sees its facility used as an important part of its outreach to the community. Its members volunteer at the hospice reception desk, in administrative duties, and in its palliative care activities. The hospice is a securely funded, serene and attractive home which provides compassionate care and support for individuals and their families. Since 1970 the May Court Bargain Box has been selling second-hand clothing, footwear, linens, jewellery, decorative and household items – all “new to you” and all at very affordable prices. We rely solely on donations – sorry no consignments – and we are most grateful to all the generous donors who have helped us keep the store stocked for many years. Friendly and helpful May Court volunteers staff the shop and are always ready to assist our donors and customers who are all highly valued members of the Bargain Box community. Come to 228 Laurier Avenue, on the south side just east of King Edward Avenue, and explore our wide range of items that provides an inexpensive alternative to shoppers on a budget, to collectors and to discriminating buyers who are looking for name brands at affordable prices. A warm welcome awaits you! Established in 1925, the May Court Library serves the Civic Campus of the Ottawa Hospital and the Heart Institute. It provides patients and staff with a broad range of books including large print editions and popular magazines. 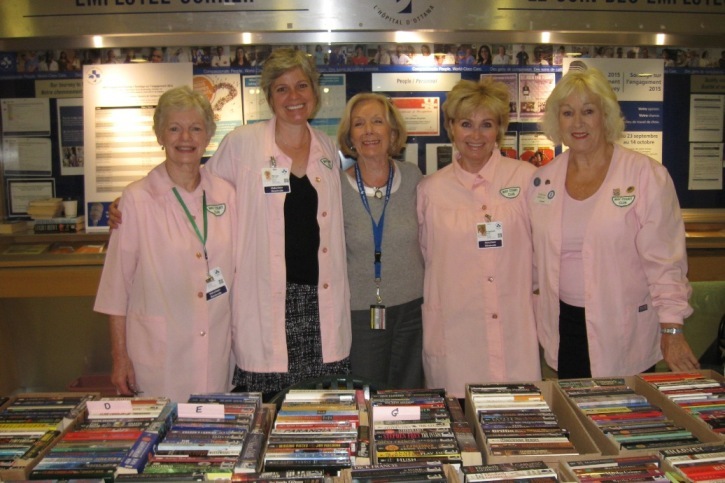 Staffed by May Court volunteers, funded by the May Court Club, and supported by the donations from the community, the library offers bedside lending services, waiting room magazines, and a quiet reading room on the Service Level of the hospital. The Library raises money to help cover its expenses by holding regular book sales. Please check the announcements on our home page to plan your next book-buying spree – at very reasonable prices! Knitting has been part of the May Court Club from its inception, including knitting socks for service men during World War I! In the last few years the Club had donated more than 250 Blankets for Babies to the Children’s Hospital of Eastern Ontario, and continues to give Toques for Kids to Rogers House and Hats for Ladies and lap rugs for cancer patients. A number of years ago, the Knitting Committee expanded and is now called the Aberdeen Artisans. This group meets on the fourth Wednesday of every month together with the Knitting Committee (see Community Service Reports). The meetings include workshops, demonstrations of a variety of hand crafted items (quilts, knitwear, cards, jewellery, etc.). These items are sold along with baked goods, confectionaries and more at the May Court Christmas Craft Fair that the Aberdeen Artisans plan and hold in November. 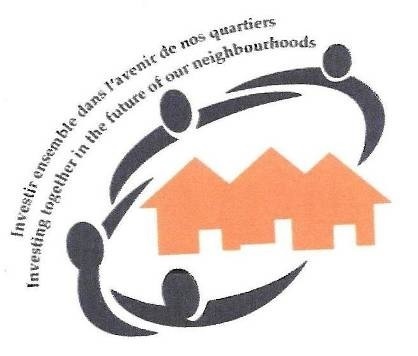 The Munch and Learn program began in 2014 and brings much needed resources to community housing projects in Ottawa. Six Community Houses located throughout the city benefit from the money we contribute to provide nutritious snacks to the children who attend these houses after school. The program helps with homework, provides arts and crafts activities, recreational activities and even lessons in cooking using nutritious ingredients. Each month the house is provided with a card allowing them to buy groceries. We have also collected games and books to distribute to the youngsters. Our Aberdeen Artisan committee has provided mitts, hats and scarves. Following its mandate to provide learning support and assistance to children in our community, it also includes the School Literacy Program, a longstanding community project of The Club. School Literacy volunteers read once weekly on an individual basis with kindergarten children in the public schools and also offer support in other ways within the elementary schools. Children are aided to acquire a love and joy of reading that will last throughout their lives. The program runs throughout the school year for 10 months.